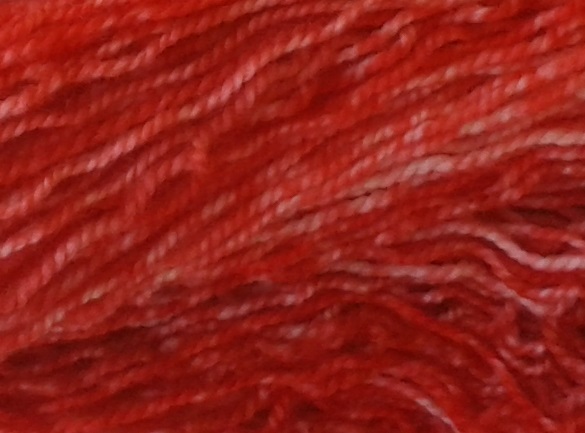 Sooo… A few days after dyeing I took a closer look at my sock blank. And I realised it was made using two strands at once. Duh! Of course, this way it’s perfect for two-at-a-time socks. But since I wasn’t planning on making socks with this yarn, I decided to skein it. 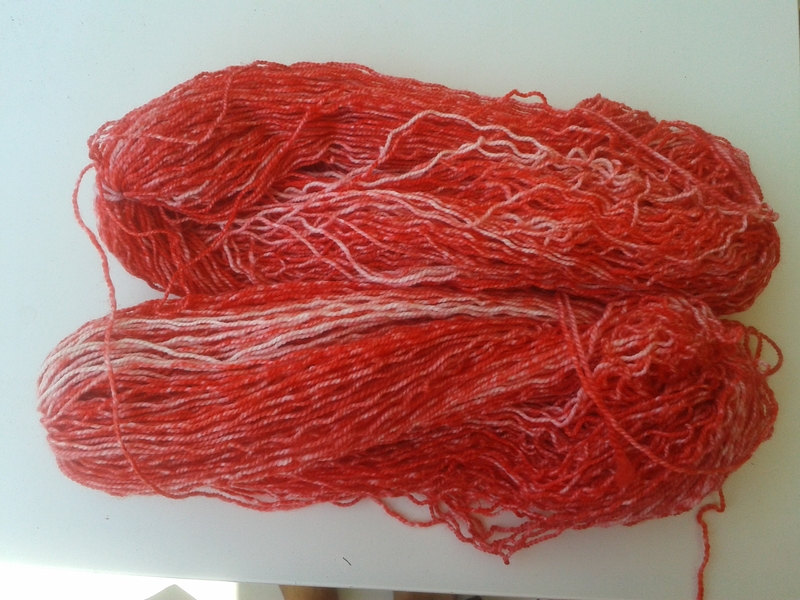 When I started unravelling, I realised that the dye did not really get into the the middle of the fabric, so the final result is tweed-like colour . I still love it. I hope it’ll be enough to make a beanie and a scarf for me . Separator image Posted in My kniting & crochet and tagged with dyeing, Kool Aid, kool aid dyeing.